Seattle may not be known for its "convertible weather" though we all know that the sunny days we do have make it more than worth it! For the last 55 years, Mercedes-Benz has created luxury vehicles that add even more driving excitement once the top is back. Starting with the 190 SL and culminating so far with the 2012 SLK-Class Roadster, Mercedes-Benz has once again outdone themselves. The Mercedes-Benz convertible has a long and illustrious history. Both Grace Kelly and Frank Sinatra drove one of the 190 SL vehicles—both on and off the set. 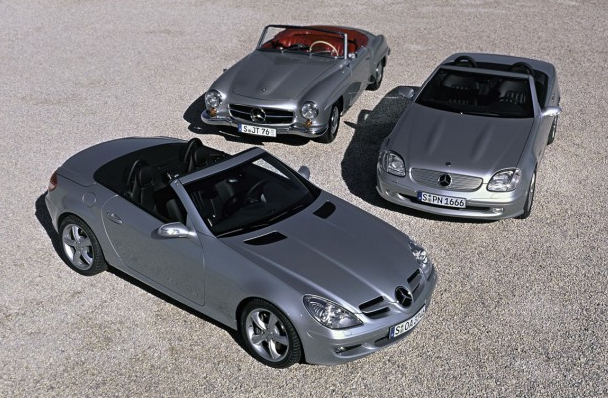 In 1994, Mercedes-Benz enthusiasts saw the first SLK model, and once again history was made. Now the SLK is setting the standard in roadster style, and soon you can be one of the first to experience this third-generation styling at Mercedes-Benz of Lynnwood.